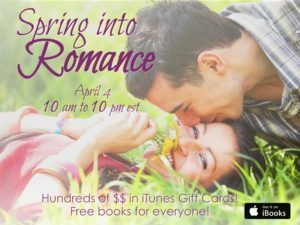 Spring into Romance iBooks party! Do you read on iBooks? Or an Apple device? Then this is the party for you! 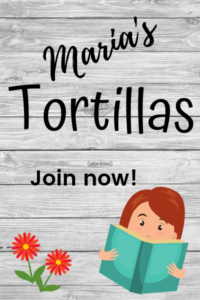 Over 40 romance authors are getting together to party on April 4 all day long on Facebook to talk about their books and to give away hundreds of dollars in fun prizes and gift cards! Here’s the link to the party and here’s the link to a PRE party giveaway. To qualify to be entered into the $100 gift card pre-giveaway, all you have to do is follow the instructions on the link. Best of luck and I hope to see you all there!